Kellogg’s Branded Bowl As In Store Marketing! 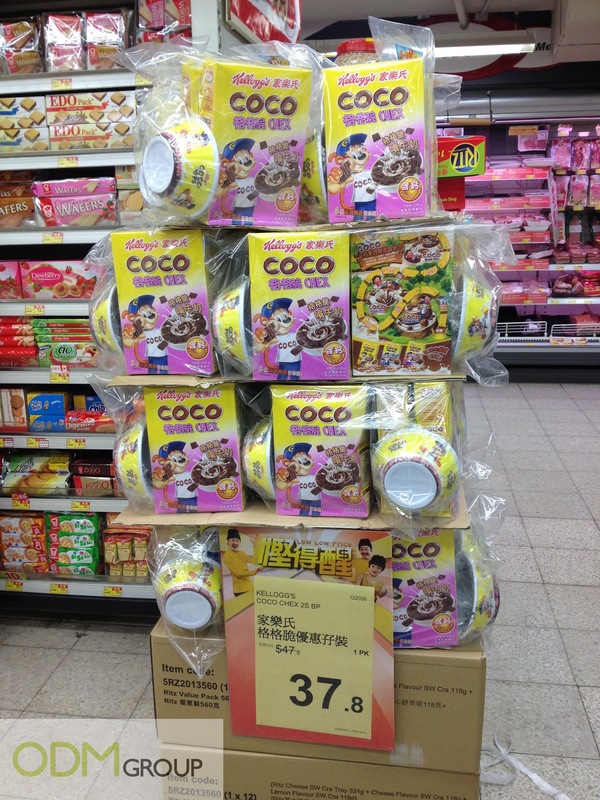 With such eye-catching in store marketing, you will never miss out Kellogg’s on pack promo. Simply spend HKD$ 37.80 to purchase two packs of Kellogg’s Coco cereal and you are entitled to Kellogg’s branded breakfast bowl! Hurry down to any local Wellcome supermarket in Hong Kong before they run out of stocks! 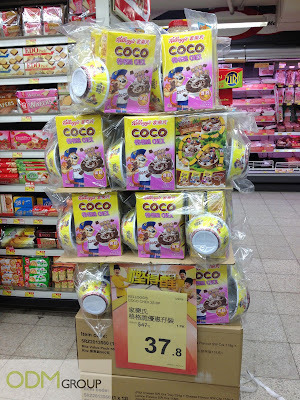 Take a look at the in store marketing by Kellogg’s Coco cereal! By having a very attention-grabbing in store marketing, consumers would definitely be attracted to take a closer look at the promotion. When they are interested in the promotional gifts offered, they would then make their purchases and this help attract sales greatly. The promotional gifts act as an incentive to encourage consumers to purchase Kellogg’s cereal instead of other brands. 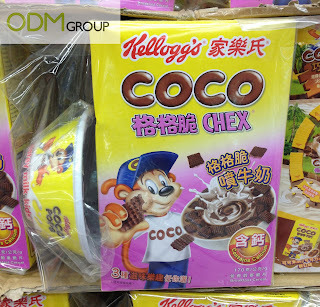 Offering breakfast bowl as marketing gifts for Kellogg’s Coco cereal is very suitable as consumers can use the bowls to consume their purchased cereal. People would naturally be more attracted to gifts that are useful and practical instead of one that is redundant. Furthermore, bowls are durable gifts and lasting. It is not spoilt easily and thus, have a higher perceived value. Bowls are essential in our everyday lives and most of us use it almost every single day for our meals or even snacks. Branding is vital in helping your company to increase brand awareness. When people use these bowls to serve meals to their family and even friends, other people would be able to notice the brand name on it. Brand loyalty and recall may even be built in the long run. This would help boost sales to an even greater height. Kellogg’s has branded these bowls with their Coco cereal logo in the center of the bowl and this would allow much focus. Consumers would definitely be able to see the logo be it when serving dishes into the bowl or after they have finished their meal. Wait no more and get your very own promotional products to offer your customers. Remember to brand your logo on these items before you give them out!